You are currently browsing the tag archive for the ‘Emulator’ tag. Android Google Maps Tutorial Part 2. 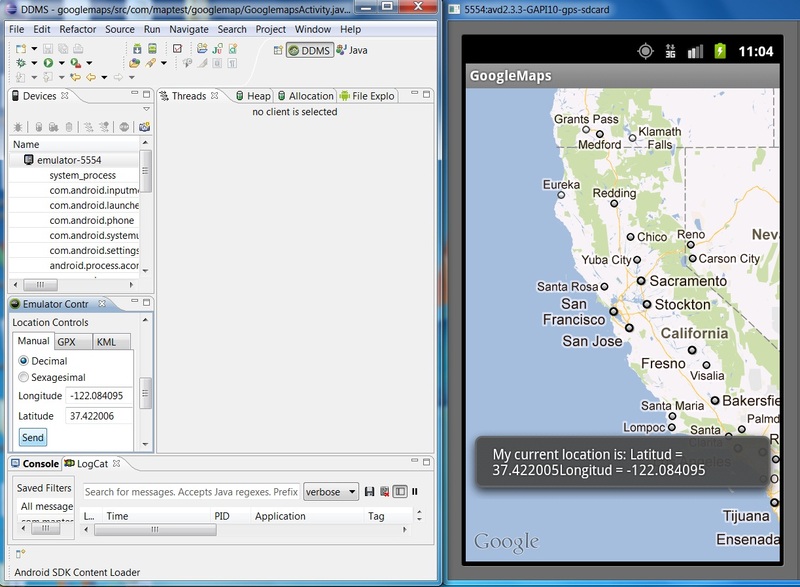 Using GPS in Android and Animating Google Maps to the Current GPS location. We will continue with the code in the above example, using the same API and AVD. First of all add the following permission in the AndroidManifest.xml file, if its not been already added. 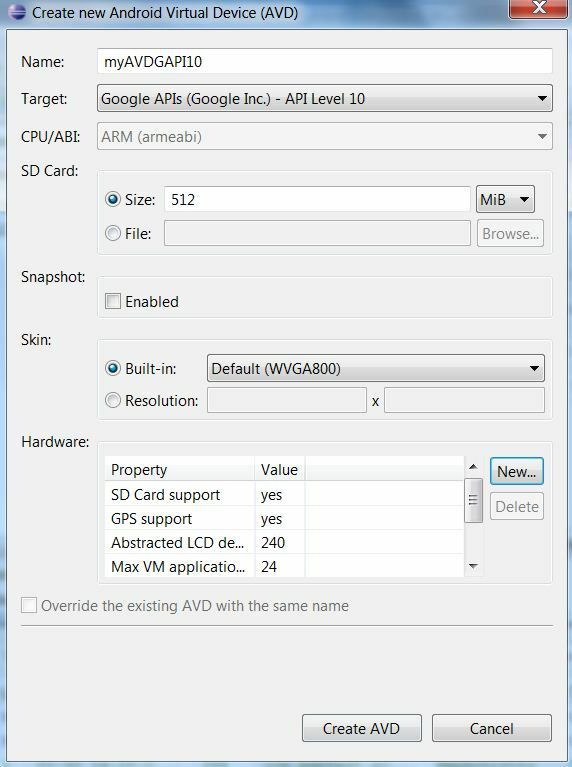 Secondly check the AVD that is it with GPS support or not. As we can see in the hardware section that “GPS Support” has a yes infront of it. Means GPS Support is installed. There will be no change in the “main.xml” file. Now open the “GoogleMapsActivity.java” file. Add the following to the import section of the file. At the top. Create a LocationManager and LocationListner objects in our main “GoogleMapsActivity” Class. Now Create a whole new class by the name of MyLocationListner inside the GoogleMapsActivity class. Now in the GoogleMapsActivity class add the following lines of code to create the LocationManager object and MyLocationListner object. Check the picture below. In the image below will have used DDMS to send dummy coordinates to our emulator. We have to keep a few points in mind when sending dummy coordinates to emulator. Toast displaying our dummy coordinates sent from DDMS to our emulator. Comment the code that displays the Toast and run the Project. Send dummy locations from DDMS and we will see that the Map will animate to the location of the coordinates that we have provided from DDMS.